I love to do outdoor projects, and that is why I was excited to find this Free sample! 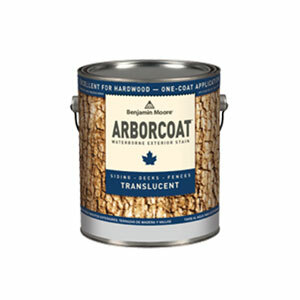 Get a free pint sample of Benjamin Moore® ARBORCOAT® Waterborne Exterior Stain. This stain is a super premium waterborne deck and siding stain. 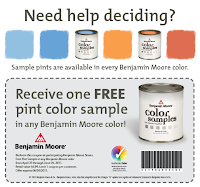 How to get it: To get yours, "Like" Benjamin Moore® on Facebook and then print the coupon for a free sample. * Print your coupon for a free sample of Benjamin Moore® ARBORCOAT® now while supplies last! If you don't see it, look over on the left where it says, "Arborcoat Paint Coupon." This is a *HOT* coupon so I predict it'll go fast! If you want one, you'd better hurry!! Also, while you are on their site, look over on the left and click where it says, "Pint Sample Coupon." 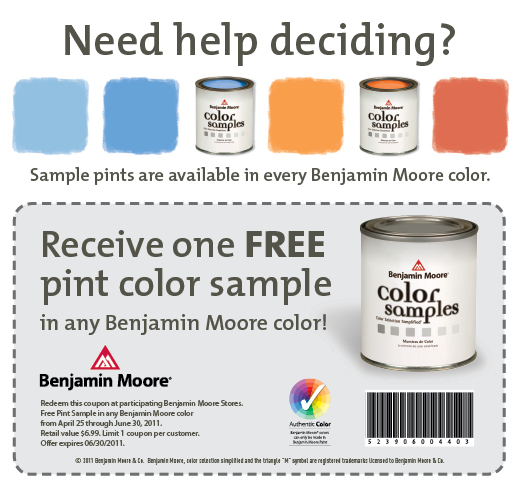 You'll be able to print a coupon for a pint sample of Benjamin Moore Paints. I even have enough of that sample left to paint some small clay pots; they'll be so cute! !